A contest and a giveaway awaits you at the end of this post! I don't know about you, but I'm fond of buying products either in bulk or in big bottles. It's more economical and environmental-friendly because it uses less packaging materials. Most importantly, I get to share it with my family. 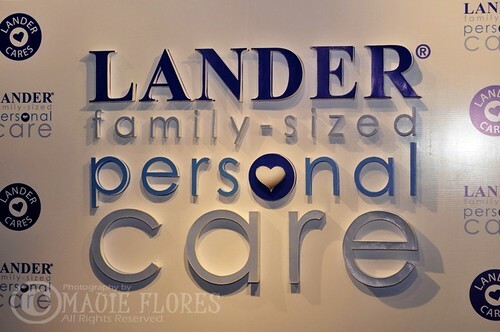 Lander, a US-heritage brand, believes in the value of sharing and family togetherness. For this reason, the company is introducing family-sized personal care products that the whole family can enjoy. 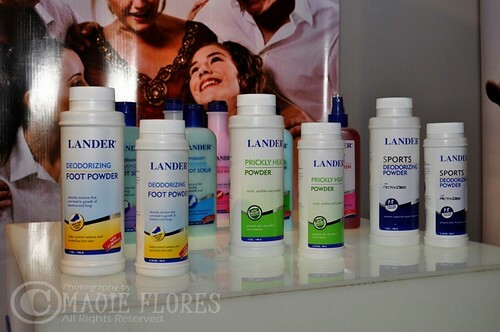 Prickly heat powder, sports deodorizing powder, and foot care products. I have been using Lander Soothing Body Lotion for a two weeks now and I'm satisfied with the results. It's non-greasy, yet my skin is moisturized the whole day. Meanwhile, my boy is used to washing his hands with Lander Antibacterial Liquid Hand Soap because it's what they use in school. Other than these two, we are also sharing the Lander Prickly Heat Powder because I have also developed rashes on my arms because of the summer heat. Lander Philippines is having it's first ever Lander Love ng Pamilya Poll over at Facebook. Poll questions will ask about your family's favorites such as fastfood joints or other products. Sending in your answers will give you a chance to win Lander products and an all-expense paid family vacation. Like Lander Philippines on Facebook (www.facebook.com/LanderPhilippines) and click the Lander Love ng Pamilya Poll tab to be redirected to the poll application. The poll will run from May 14 to August 3, 2012. I'm also holding a special Lander-sponsored raffle for you, my loyal blog readers. 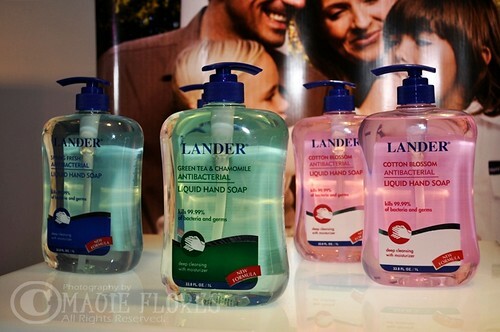 Three (3) winners will each receive a Lander Personal Care gift pack worth Php 1,000. Winners should be able to pick up their prizes at Unit 2E03 Building 5, Bonifacio High Street, Bonifacio Global City, Taguig City. Please see the Rafflecopter widget below for the rest of the mechanics. This is a sponsored post. Did you like it? CLICK THIS to have my posts delivered straight to your email inbox. THANKS FOR THIS BLOG AND GIVEAWAY . Hi, Chatt. This giveaway is also restricted to readers from Metro Manila and nearby provinces because the prizes should be picked up at Boni High Street. The items are big and others are in liquid form so I can't ship the products to the winners, sorry. Awww... I'm sorry, Jess. It's the sponsor's rule. NICE GIVE AWAY... ngayon ko lang narinig ang lander. sana ma experience ko naman sya. So great giveaways..I need this for my whole Family! love family size for my whole family!!! 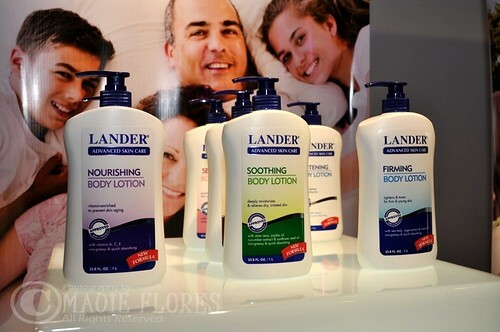 I love your giveaways...It's the first time I heard about Lander Personal products..Hope I win because I am really looking for personal care products w/c is really suited for the whole family. wow maui, i hope i can win lander products coz i'm a user of lander cocoa lotion, lander oil and lander powder since high school...new packaging na pala lahat...kasi for now cocoa lotion na lang ang binibili ko kasi very moisturizing at hiyang sa skin ko....but still love all the lander products....tnx for this promo! i love it. hope to win.. I hope that I can win this, I will give it to my mother. She needs it very much.. Done :) I love to win! plsss..let me win.. i love this and i wish to have this!